The 2019 Spring/Summer PKU Press is here! Our latest edition of The PKU Press is now available. 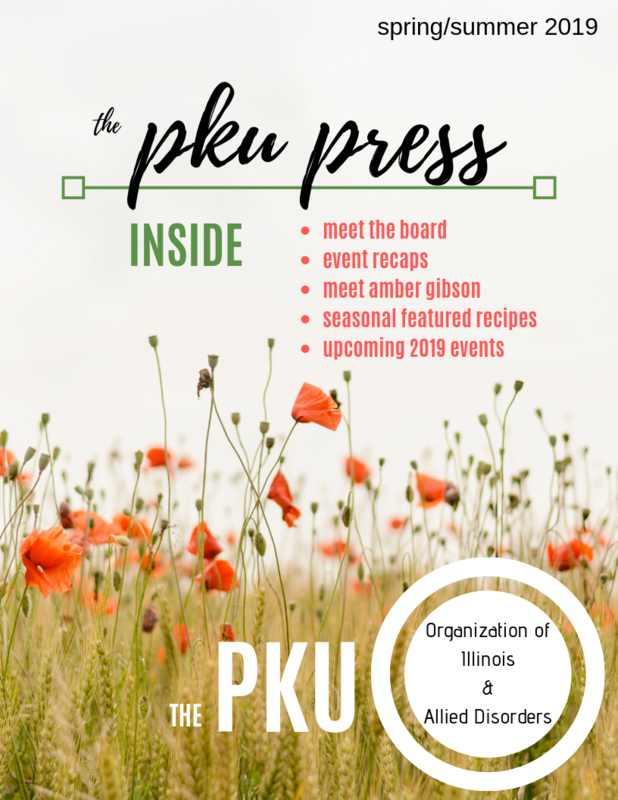 Meet the 2019 board members of the PKU Organization of Illinois. Catch up on last year’s events and discover what’s in store for 2019. Meet Amber Gibson – our featured person of interest. Plus Mary’s Corner, recipes for Summers BBQs, and more! Click here for the interactive web version, or you can also download the PDF here.